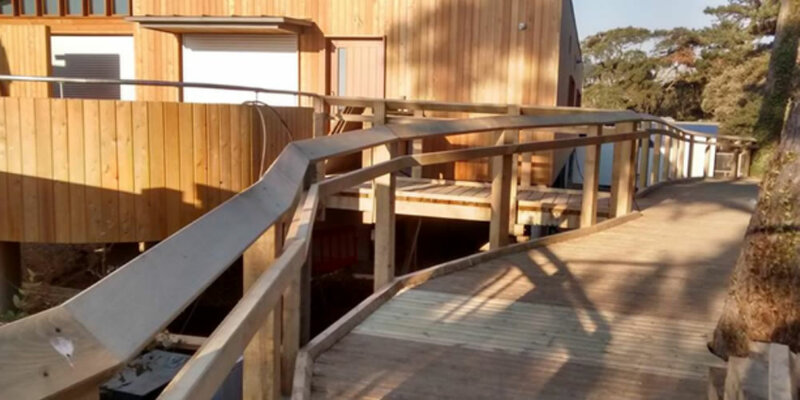 We can’t wait to welcome you - not only to soak up the panoramic views of the Solent from The Lookout, but also to enjoy the other fantastic improvements made around the country park since early 2017. Please be aware that ahead of the opening of The Lookout, the current building will be closed from 16 April until 4 May. However, temporary catering will be on site so you can still pick up a hot drink and a snack for the end of your walk. While we prepare for these improvements, we’re keen to offer you a flavour of what you can expect to enjoy from The Lookout, which has at its heart, a fantastic range of fresh, local and sustainable produce. For example, there will be local, seasonal fruit and vegetables, free range eggs from Fordingbridge and Mozzo coffee, roasted in Southampton. Plus, The Lookout’s signature dish - sustainably sourced Bowman beer battered fish with chips, peas and homemade tartare sauce – is a perfect fit for Lepe’s coastal location. What will you try on the menu first? If you have any questions about the works, please get in touch by emailing lepe.enquiries@hants.gov.uk or calling 02380 899108 and we’ll be happy to help. As ever, we’re grateful for your patience and are looking forward to sharing in the excitement of all that’s new at Lepe over the coming months. You can also find out more updates about what’s happening around the Park on our Facebook, Twitter and Instagram.